After a massive fire broke in Maharashtra's Wai district where Akshay Kumar's upcoming Kesari was being shot, the shoot has been put on for next 10 days and will only resume post the damaged part gets rebuilt. No injuries are reported yet. The last leg of shootings was taking place in Wai. The unit was scheduled to shoot the climax, a war sequence which involves the Battle of Saragarhi when a blast occurred leading to a huge fire which gutted a large area of the set. 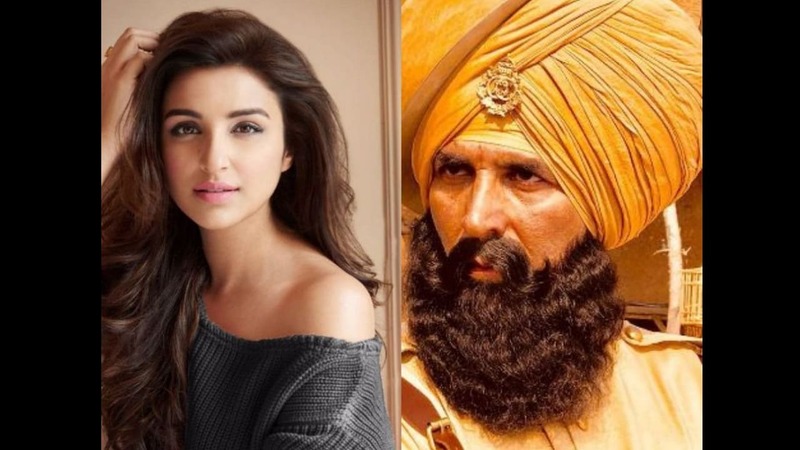 An insider added that while Akshay had already left for the day after wrapping his portion, Parineeti Chopra was away on a vacation to Australia. DNA reports that on hearing the news, the Padman actor reached the sets and tried boosting the team's morale. Only 10 days of shoot was remaining when the mishap took place. As the film is a period drama, the set being burnt up involved a huge loss and it is said that rebuilding the whole structure will take time. Though the explosion was a massive one, not a single person from the crew was injured. The shoot has been put on hold for 10 days. The remaining portion of the shoot will be completed after the damaged set is rebuilt. Kesari is co-produced by Karan Johar's Dharma Productions, Twinkle Khanna and Kumar Cape of Good Films and Mukesh Ambani’s daughter Isha. It is slated to release on Holi 2019.